The scholars from one of the Kazakhstani universities Zhatkanbaeva, A., Zhatkanbaeva, J., and Zhatkanbaev, E. (2012) published their analysis of brain drain with the title “The impact of globalization on “brain drain” in developing countries”. They claim that brain drain causes complication to the developing countries asserting that “the problem of “brain drain” is considered as a threat to national security” (p. 1490). To solve it, they recommend to recognize brain drain as a problem and reform the educational system. I appreciate that scholars have their recommendations on solving this controversial issue, despite the lack of supporting details and justifications for their claim. Seems that their thesis statement is not clearly structured in the introduction which consists of three paragraphs with separate ideas that resulted in the loss of the main idea. Moreover, the lack of roadmap made the article even vague. While reading it for the first time, some incomprehensible details appeared that could have been improved or prevented. Firstly, the article is not about “developing countries” as it was stated in the title. But only about Kazakhstan. It might be suggested to use the exact context in the title to make it distinct. Secondly, the definitions of major concepts are missing. As the paper analyses the concept of “brain drain”, it is useful to consider defining the term first. Thirdly, the article comprises a list of obscure details and ideas that make the work feeble. For instance, the first three paragraphs of “Heading styles” (I suppose, it to be a body paragraph), where the word “erudite” was thoroughly defined. The scholars jump from one idea to another without ending the first one. If you remember, the introduction was opened with the “globalization of education”, whereas, the body also contains some general information about globalization which could have been mentioned in the introduction. It could be the case to remind that “a sentence should contain no unnecessary words, a paragraph no unnecessary sentences” (Struck & White, 2000, p. 23). Moreover, the scholars keep repeating some words, phrases and even sentences to emphasize its importance as in: “accommodation and flats” and “perspectives of career growth and position” (p.1492). The below given two sentences might show the repetition of weakly paraphrased sentences and an irrelevance to the context. The first excerpt is written in the introduction and the second one in the main body. Although the relevance to the context might be negotiated, both excerpts devoid of further clarifications in the kind of measures that make these statements deceptive. “Kazakhstan has been taking a series of comprehensive measures of a legal, social and organizational character. What is worth speaking about is the formation of Kazakhstan’s way based on the experience of different countries to overcome this problem” (p. 1490). “Kazakhstan undertakes a number of complex measures of legal, social and organizational character. 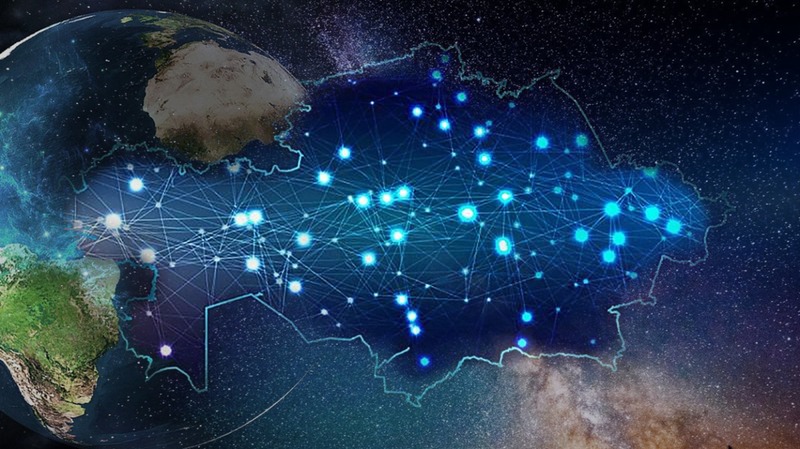 We should mention the formation of Kazakhstan way of overcoming the stated problem, which combined the experience of a number of countries” (p. 1492). “The problem of “brain drain” is considered as a threat to national security” (p. 1490). I agree that brain drain probably brings some economic, social and educational problems to the country. But to argue it to be a “national threat” without any clarifications of why should it be a threat and without any justifications to support makes it a feeble argument. “We have to state that schools and universities provide only the basic education” (p. 1491). Zhatkanbaeva et al. (2012) assumed that schools and universities provide only basic education based exclusively on their teaching experience in the university. Although it might be true to some extent, the statement cannot be generalized to all schools and universities without any research done to support it. “[Developing countries’ curriculum] … does not meet the international standard requirements, although these requirements do not exist” (p. 1492). The other statement which is worth to mention. It seems that scholars again speak from their perspective, based on their experience of living in a developing country. The first assumption made is the developing countries’ curriculum which does not correspond the international standards, could have been explained in what way it does not meet it. However, I would argue that those reform changes that the government makes aim to fit those international standards. The other speculation is rejecting those “international standards”, here, they contradict their own words. The article is written from the first person. The scholars mostly use “we” to refer to themselves in their recommendations and use their personal and work experiences in making the examples, not evidence. I guess that intended audience of this article are students and educators. The scholars presented their work mostly based on their practice without intelligible explanations and pieces of evidence to support their claims. After reading the article I wasn’t convinced at all with its content, rather got confused with their ideas, where they argue that “educational international standards do not exist”, on the other hand, they asserted that “Kazakhstan reforms its educational system based on the experience of different countries to overcome problems”. I greatly admire their effort in analyzing one of the debatable issues of our society, but to improve their article, I would advise to totally rewrite the introduction, body paragraphs, and write concluding paragraph (which is missing), support it with credible pieces of evidence and of course, to avoid making assumptions and bias. And remember to find a reliable peer-reviewer that makes the writing more credible. How do you think this article could be improved? For a stranger, it is very interesting fact to know that there are about 130 nations and nationalities live in the Republic of Kazakhstan with its territory of about 2.717.000km² in peace and tranquillity for about 25 years. Since its independence, many representatives of various nations and nationalities left for their historic motherlands, and even more number of compatriots came back to their home country – Kazakhstan. 17.519.000 people (StatCommittee Ministry of Economy, 2015) share different cultural heritage, customs and traditions, holidays and devotions with each other. The hallmark of being tolerant and respectful to other nations around is the hospitality and open-heartedness of local Kazakh people. Since my childhood, I had been surrounded by people with different languages and viewpoints, but all of them were kind and nice people. We were together in happiness and grief. We could feel everything with our hearts and mind. We understood each other very well. From one hand, they are different, and from the other hand, they are similar. They are different because they have their own language, culture and religion, and at the same time they are similar because they respect, love and value us and the environment that they live and breathe. We all learn from each other. Sometimes we argue with each other telling that this or that is in our culture, or in their culture, this or that is taken from this or that nation, etc. At last, we come to conclusion that we should be thankful; otherwise we would not have such marvellous tradition or food or something else. We invite each other on the occasion of marriage, sundet-toy (i.e. circumcision), uzatu-toy (i.e. farewell party for a bride), etc. To conclude, I wish to say that each of us have to inherit this gift; the gift to be able to maintain harmony and love to our neighbours! Live united! Ministry of Economy. (2015). Statistical Committee of Economy Ministry. The way we talk or behave in front of the employer differs dramatically from the one when with parents. Behavioural code switching is a matter of etiquette here; there is a behaviour that is appropriate at home but inappropriate in public (Zeller, 2004). Bauyrzhan: Салем (kaz. Hi), Стас! Погоняем мяч (rus. Let’s play football)! Stas: Жооок (kaz. Nooo)! Я устал (rus. I am tired)! Bauyrzhan: Ну, давай (rus. Come on)! Қызық будет (kaz. rus. It will be fun)! In the example, it can be clearly found that the Bauyrzhan uses the Russian to cut through the barrier; to establish solidarity. Some feelings and attitudes are not that easy to be expressed. Speakers may switch codes to express amazement, frustration, sadness, happiness and many other feelings. Janet Holmes (2013) says, “A language switch . . . is often used to express disapproval. So a person may code switch because they are angry.” Let me give you a good example about code-switching to express affection. In the above example, the mother used the Russian language to express her anger of the child’s behaviour. According to her story, she works in a bilingual school and code switches whenever there is a lexical gap in one of the languages. E.g when they talk in French and mention about a smart board, she say “le smart board”. The notion of having a designated container to bring your lunch from home is foreign for the French. So they all refer to “le lunchbox”. Learning the basis of code switching is important in terms of self control. The lessons of acceptable conduct are defined by the family and society in which one was brought up (Zeller, 2004). The decision to code switch in behaviours or languages is up to our judgement. Becoming critical thinkers, behaving according to the context and continuously growing linguistically, regardless of the language in which we prefer to do it, are the most important things here. But if Kazrunglish is a part of who you are and as long as it is appropriate, don’t worry, code-switch away! Holmes, J. (2013). An introduction to sociolinguistics. Routledge. Poplack, S. (1980). Sometimes i’ll start a sentence in spanish y termino en espanol: toward a typology of code-switching1. 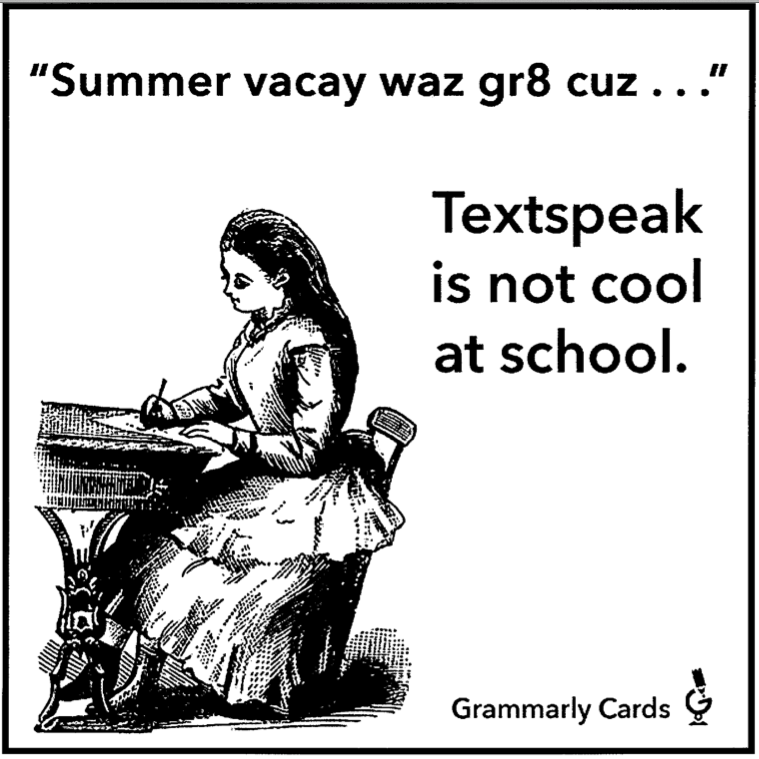 Linguistics, 18(7-8), 581-618. Zeller, D. L. (2004). Professional Documentaion Journal. Unpublished manuscript. Over the last hour, approximately 21 girls have been born in Kazakhstan (Committee on Statistics, 2014) and they will soon be looking for a role model to follow. As history is mostly silent about women, it is our duty to teach our young girls the examples and legacies our grandmothers left. Having a real, strong and positive female role model in the history is important if we are to transmit the moral and spiritual values of the Kazakh to our young ladies of the new generation. One such story, told by her granddaughter, is about a strong woman who saw all the cruelties of colonization and wars, but never ever gave up the hope of a bright future for her children. During Stalin’s forced famine of 1932- 1933, the Kazakh had their food taken away and were left to die from starvation. At the same time a witch hunt on thousands of Kazakh leaders, writers and intellectuals began and they were falsely accused of plotting an armed revolt. The population of the Kazakh dropped from 7 million to less than 2 million (Khan, 2014) and those who left were mostly women. Dead silence… but far in the depths you would hear the dombra. It was her, Dina, disciple of the Great Kurmangazy himself. She was a tall, strong and indefatigable woman. Very straightforward, she would never fall in line. When her husband Nurpeyis died, she was pregnant with her third child and called him Jurinbay (from Kazakh word жұрын – what is left) – remainder. 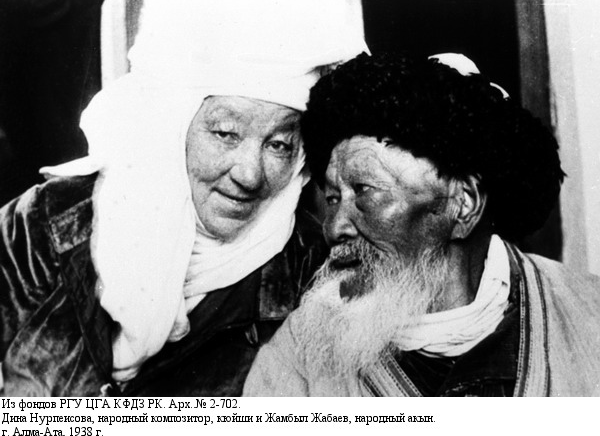 According to the old Kazakh tradition, she married her husband’s brother, Nurali, after his death. They had many children but some of them died in infancy. In 1916, in the time of World War I, when the tsarist government decided to mobilize men of the minority ethnicities to the front, the oppressed people of Middle Asia rose in rebellion against the colonial policies. Dina’s kuy (folk instrumental piece played on the dombra) “1916”, unlike other composers’ works, was optimistic, even though her son Jurinbay was taken away too. There was no crying, nor complaint, nor gloom. All you could hear was the tramp of horses and the joy of people who had heard the great news about the white tsar being overthrown. As difficult times began again in 1921 and partly because she was the second wife, Dina and Nurali decided to divorce. As the famine started she and her ten children migrated to Astrakhan, Russian SFSR. In order to save her children from starvation she gathered millet in the mountains, grinded it into flour and other cereal products and made porridge. She managed to save all her children through these hard times. But in 1941 the World War II had began and all her four sons were called to the front. She never complained. Dina wrote another moving kuy “Order of Mother”. Even when only two of her sons returned, she celebrated the victory of her people and composed the kuy of the same name. Dina Nurpeisova was one of the amazing women by virtue of whom the Kazakh nation could regenerate later. The lives of those women can teach our children how strong Kazakh women can be. The story of the greatest woman dombra player should be written in golden letters in the pages of history, because history is “herstory” too. Today, one of the important subjects within the higher education is the entry of Kazakhstan in Bologna Process. The main goal of joining to Bologna Process is to make Kazakhstani higher education conforming international standards for improvement of its quality and gradual integration into world educational community. Signing of the Magna Charta Universitatum is a basis of the Bologna declaration which is a serious step on the way to integration. In Magna Charta Universitatum, autonomy is a fundamental principle of the university. Signing this document, universities assume obligations to develop autonomy of higher education institutions, democratic principles of management, the academic freedom, etc. According to the State program of education development in the Republic of Kazakhstan for 2011-2020 Board of Trustees (BoT) will function in institutions in order to provide corporate management and transparency of educational system management (SPED, 2011-2020). The Boards of Trustees as guarantors of an autonomy of higher education institutions play a direct and key role at autonomous university. According to Sagintayeva A. et al (2014) “sixty four public universities have established boards of trustees”. However, at the present time Nazarbayev University is the only legal autonomous university in Kazakhstan (“On the Status”, 2011). All the academic institutions follow the Ministry’s regulations irrespective of their ownership except Nazarbayev University that reports to the Board of Trustees headed by the Prime Minister of the Republic of Kazakhstan and the Supreme Board of Trustees headed by the President of Kazakhstan. There is a long list of functions of BoT, among them the most important are elect the President of the University, approve budgets of the University, determine upper and lower limits of salaries of the university authorities, approve the budgeting rules, approve accounting policy of the University (NU Charter). Whereas, for example, functions of Board of Trustees of Kazakh National University are the following: member of BoT may participate in development and implementation of measures for university development, participate in academic council meetings. The difference between both governing bodies is obvious. Similarly, Raza (2008) supports the view that government of Kazakhstan continues impose restrictions, “any meaningful autonomy been handed down to individual TEIs. The Ministry of Education and Science remains the central body responsible for both the broader management of the sector as well as being the primary body for regulation”. That means that Board of Trustees as a model of managing higher education institutions is still lack of clear rules and play more advisory role. To sum up, universities are in the process of implementing autonomy and Board of Trustees was recently introduced in HEIs of Kazakhstan. I do not know how successful our universities will implement this reform and I do not know if government provides full autonomy to the universities, but I hope that Nazarbayev University will achieve its mission and will help other universities in implementing new reforms. Raza, R. (2009). Examining autonomy and accountability in public and private tertiary institutions. Human Development Network, The World Bank. Eriflim tarihi, 21(03), 2011. State Program of Education Development in the Republic of Kazakhstan for 2011-2020. Sagintayeva, A., Kurakbayev, K. (2014). Understanding the transition of public universities to institutional autonomy in Kazakhstan. European Journal of Higher Education, 1-14. As a person who has a two-year experience of working as a language teacher in a private language school, which also offers services in teacher training, including preparation and organization of Cambridge ESOL Exam TKT (Teaching Knowledge Test), I have witnessed the complex process of teacher professional development. During my work experience, the company would mentor the teaching staff to provide the quality of education by conducting regular teaching sessions, peer observations, interviews of students and teaching staff. Additionally, our language teachers like me were constantly being prepared for Cambridge ESOL Exams. These events made me feel more confident in the classroom, showed that creativity is “the best friend” of a teacher, and provided collaborative work with my colleagues. Fortunately, I started my teaching career exactly in that language school, as now I am excited about the idea to translate the experience of this private school to mainstream schools throughout the country. Having analyzed the teacher in-service professional development reform in Kazakhstan, I see that the process has started with rather small number of teachers. I support the idea of the efficacy of the projects like Centre of Excellence; and as far as I understand, there is an opportunity for those teachers who have undertaken this program to share their experiences with their colleagues at their schools. My concern about the new model of teacher professional development is the length of the course. The basic level of the program lasts for three months, but teachers’ professional development is a time-consuming process. Thus, attempts to provide all teachers of the country with in-service training for a short period of time might negatively affect the quality (Tam & Cheng, 2007). A set of teachers’ beliefs has a great impact on choosing a certain style and approach of teaching in the classroom. As Pajares (1992, as cited in Pshenova & Batyrbayeva, n.d) argues, it is pivotal “to work on the beliefs, moral principles of teachers in order to help them turn toward new ideas” and become active users of the chosen approach. At the same time, I could suggest that person’s beliefs cannot be developed into new ideas in a couple of months, but teachers should be trained on the regular basis during the whole teaching practice. Another point to mention is unclear situation in preparation of multilingual teachers. The process of multilingual education is supposed to be a long-term process. However, not all of the current professional development centres offer the programs that can provide a teacher with linguistic skills in addition to methodology. This means that nowadays language potential of teachers is a point of their own concern and is treated as a personal desire of self-development, rather than an aspect at the republican scale. As a master student, I can state that the area of teacher professional development in Kazakhstan is devoid of the research in the perception and attitudes of Kazakhstani teachers towards in-service training. This gap can be fulfilled by providing a set of qualitative inquiries to see real causes of teachers’ unawareness of modern teaching techniques and to work out the program aimed at preparation of academic staff that meets the requirements of the State Program. In this sense, the sufficient education policy can happen only when the levels of educating process (from policy makers to teachers) start working in the dialogue. In this conversation, it is pivotal for the top to clarify what exactly they want to change, reason these reformations, and get the honest (!) response from practitioners, who, in their turn, are expected to share their opinions and ideas. As a result, the processes of reform planning and implementation would be actively negotiated by the stakeholders and controlled and assessed by the policy makers in order to improve the quality of changes. Tam, W. & Cheng Y. (2007). Teacher education and professional development for sustainable school effectiveness. In T.Townsend (Ed. ), International handbook of school effectiveness and improvement (pp.751-766). Springer. Pshenova, T.N., Batyrbayeva, N.K. (n.d.) Professionalnoye razvitiye sovremennogo uchitelya v sisteme nepreryvnogo pedagogicheskogo obrazovaniya. Retrieved from http://centre.ipksko.kz/index.php/kz/izdeu-sheshim-t-zhiribe?id=55. Kazakhstan is a multiethnic and multicultural country. More than 130 nations live together (Sheryazdanova, 2013, p. 1). One of the crucial elements of international peacefulness is correctly developed language policy. Multilingual society has a strong impact on the stable economy, politics and cultural life of a country. Plurilingual individuals co-exist with other plurilingual personalities. We may say that almost everybody in Kazakhstan is a carrier of more than one language. The reason of that statement is that school programs include both Russian and Kazakh languages. Moreover, all public and private schools provide one or more foreign languages. One of them is English language subject as a compulsory discipline. All these components are led by plurilingualism drivers. Every child grows in a family. It is the first and the main driver that forms the personality. Children become acquainted with their mother tongue and gain proficiency in other languages mostly in their families. As a rule, in Kazakhstan most families are familiar with the Russian and Kazakh languages. However, the level of proficiency may vary from one to another. Therefore, children come to school with different knowledge levels of languages. The second, but not the least pluralingualism driver is history. For more than 150 years Kazakhstan was under the tsarist rule (Oka, 2000, p. 3). The Tsarist regime had an impact on the Kazakhstani identity. One of the common and widespread tsarist policies was migration. So many nations were moved from their historical places to the wide steppes of Kazakhstan. The indigenous population always tried to make new comers’ lives better. Kazakh children and adults threw kurts to prisoners in Alzhir prison. It was an attempt to feed those who were under the tsarist repression (Tokaeva, 2011). Kazakh people tried to communicate with those who were forced to move to Kazakhstan. This communication also influenced the language acquisition among Kazakhs. So, without a doubt, we can say that the waves of migrations formed Kazakhstani language policy as it exists now. There are more plurilingualism drivers that should be mentioned but in my opinion, these drivers are the most important. These factors contributed to the emergence of the current language policy in Kazakhstan. elites. Chiba: Institute of Developing Economies. Relations Between Kazakhstan and Germany. Chaos, Complexity and Leadership. Springer Proceedings in Complexity 2014, pp 47-58.